Can an Employer Refuse a “Discretionary” Bonus to a Terminated Employee? In a recent decision from British Columbia, the Court was asked whether it is a breach of an oral employment contract for an employer to deny payment of a “discretionary bonus” to a terminated employee. The case is interesting for how the Court deals with that issue. 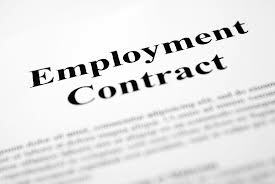 The decision also reviews some basic principles in the Common Law of the Employment Contract for employment law students. The case is called Fulmer v. Nordstrong Equipment Limited. Can Employers Refuse Payment of “Discretionary” Bonuses? years old when he was fired. There was no signed employment contract and so, as my students know, a bundle of implied contract terms (see Chapter 9 of Law of Work: Implied Employment Contract Terms) are incorporated into the oral employment contract, including the implied obligation on the employer to provide “reasonable notice” of termination. Therefore, a central issue in the lawsuit is how much that notice should be. A secondary and more intesting issue was whether he was entitled to the payment of a “discretionary” bonus that would not normally have been awarded until a couple of months after he was fired. How Much is “Reasonable Notice”? In assessing how much notice is “reasonable”, courts consider criteria developed in the case law, including length of service, age of the employee, character of employment, availability of similar employment with regard to the employee’s experience and training (the “Bardal factors”) (See extended discussion of “reasonable notice” in Chapter 13 of the book). The employee was 59 years old when he was terminated. He argued that his job was managerial in character and this demanded a longer notice period. The Court disagreed, finding that the job was not a classical “managerial position” but that in any event, the long-standing diasctintion between “managerial” and “non-managerial” positions in the assessment of reasonable notice was of “declining importance” since the Ontario Court of Appeal decision in Di Tamaso v. Crown Metal Packaging in 2011 (see discussion this development on pages 160-161 of the book). The case law provided by both parties point to a range of reasonable notice periods. The plaintiff submits that reasonable notice ought to be assessed at 12 months, while the defendant argues that the appropriate notice period is 6-8 months. I find the decision of Ellerbeck v. KVI Reconnect Ventures Inc. 2013 BCSC 1253 (CanLII) to be demonstrative and helpful. In Ellerbeck, the plaintiff was 59 years old as of the date of her termination after being employed as a corporate controller for 3.5 years, and earning (as at termination) a total remuneration of $109,840.00. The Court awarded 10 months’ payment in lieu of reasonable notice. Having reviewed the relevant jurisprudence and having considered the traditional Bardal criteria, I find the plaintiff’s reasonable notice period to be 10 months. Is the Employee Entitled to the “Discretionary” Bonuses for the Years 2016 and 2017? You wouldn’t normally expect a wrongful dismissal lawsuit to be litigated on the sole issue of the length of “reasonable notice”, since lawyers representing the two sides can usually guesstimate the range of notice a court would order and based on this come to some sort of resolution that avoids the high cost of litigation. That’s not to say there is not the occasional case where a court is asked to decide only the question of reasonable notice. Sometimes one side or the other is stubborn, or sometimes employers want to send a message that they will “fight to the bitter end” and never settle, so as to discourage future lawsuits by other employees. More often though, there are other issues at stake besides notice periods. In this case, the employee was seeking payment of a discretionary bonus in addition to the damages for reasonable notice. The employee has received an annual bonus every year he had worked for the employer. However the employer had a “policy” of not paying bonuses to employees who were terminated prior to the issuance of the bonuses and argued that policy was fine since payment of bonus was at the discretion of the employer. As the employee had been terminated in December 2016 and the bonus decisions were not made until February 2017, the employee did not qualify applying the policy of non payment of bonuses to terminated employees. The Court disagreed. When the employment contract confers a discretionary decision on the employer, that decision must still be exercised “fairly and reasonably”, the court said. That approach essentially mirrors the approach taken by labour arbitrators in the Collective Bargaining Regime (as explained in Chapter 43 of the Complete Edition of the book). In this case, the employer argued that the bonus had been denied because of problems discovered in the employee’s performance. The Court brushed aside that argument, finding that the employer was just trying to justify its “unofficial policy” of not paying bonuses to terminated employees. The Court ruled that the employer had an obligation to exercise its discretion in a “fair and reasonable manner”. In this case, considering past practice, the employee was entitled to the same bonus he received the previous year, which was $20,000. Is the Employee Entitled to a Bonus for 2017 and to Compensation for Loss of Benefits During the Notice Period? The employee made another interesting argument. He argued that since the notice period of 10 months would notionally carry his employment until October 2017, he should be entitled to the bonus he would have earned for the year 2017 too. The Court rejected that argument, ruling that the purpose of the notice period is to give the employee time to look for work and that the employee would not have expected to have earned a bonus while he was looking for another job. That’s an interesting conclusion. I’m not sure it is a correct given that annual bonuses are routine and appear to be part of the overall compensation scheme employees expect to receive at this workplace. The employee also argued that he should receive damages for “loss of benefits” during the 10 months notice period. In fact, the employee did not produce evidence that he was out of pocket for any expenses due to the loss of benefits coverage (since he was covered under his spouse’s plan) and therefore there were no damages.